I love stamps. I love using them on packages for customers and friends! But they always seem to be expensive (no one wants to pay $7!). I saw this idea on Pinterest, and thought I'd share my tips and how-to with you! You'll need an X-acto knife, a rubber eraser, and a pencil. That's it! I got a two pack of erasers at Target for 52 cents. You also want to do this on a safe surface, like a cutting mat, so you don't accidentally scratch any surfaces. First cut off the ends, where the eraser is slanted. Draw out your design. I decided to turn this into two smaller stamps. Remember that whatever you do will be backwards when stamped on, so take this into consideration when carving words. First cut out your shape by tracing it with your blade. Then slice through the outer edges and work your way inwards until you can pull off a chunk. Continue until your whole shape is cut out! Smooth out the edges of your shape and shave the base down. I usually make sure to shave it down a little less than a 1/2 cm. 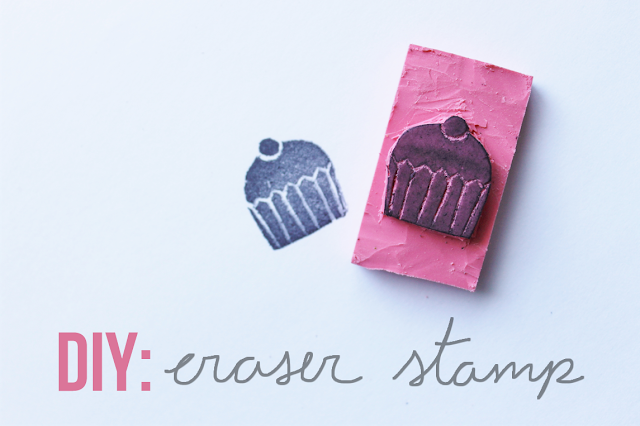 Test your stamp and smooth out any rough edges. All done! If you want to add detailing like some of the stamps above, you can cut super tiny slices with your X-acto knife, or buy some real stamp carving tools. I'm addicted to this now! It's so cheap and only takes about 10 minutes for a simple design, like a heart.